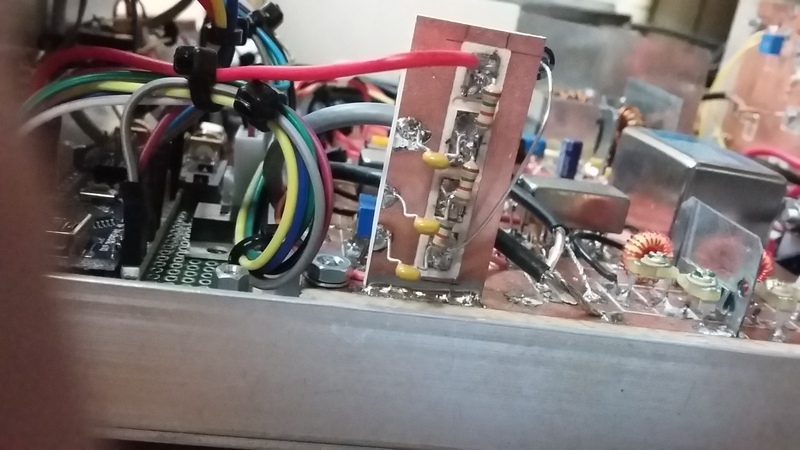 Early on the decision was made to use the SBL-1 as the Balanced Modualtor and after about 10% of the way in the component installation I realized that had I done a bit more "noodling" I could have used a single SBL-1 to serve as the receiver mixer stage on receive and as the balanced modulator on transmit. It would be a bit more complex in the signal steering BUT they are now getting about $9 for one SBL-1 --so worthy of further evaluation. But hey I had a spare so on I went with two SBL-1's. The only thing special about the SBL-1 is signal levels as it is a 7 dBm device so don't put more than 1.414 Volts Peak to Peak in to the ports. The other special aspect is TUNE up. Your Bitx Rig does not have a tune function --so you have to do the old whistle routine or shout "Hola" into the microphone. I figured out how to generate a 988 Hz pulsed timed tone in the Arduino. Thus this LM373 has a built in tune up audio generator. The output from the Arduino is a square wave and we "clean that up a bit" with a sveral stage RC filter. Not a pure sine wave but certainly not a square wave. 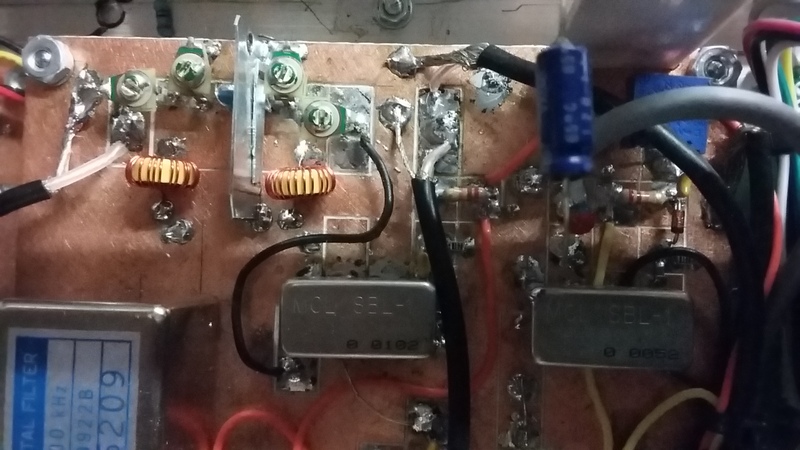 The BFO is diode steered to the SBL-1 only on transmit.